So he meant exactly what he said, except that it was obviously misconstrued, and he probably wouldn’t do it again. Oh okay, that makes sense. Here is Newt being paid to promote ethanol interests, then denying that he is any sort of ‘lobbyist’ for the industry. 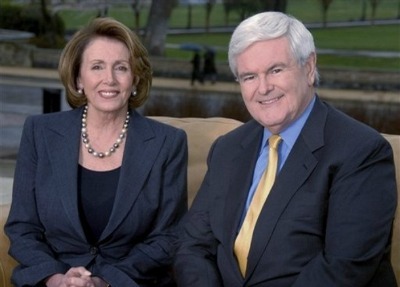 Poor old Newt is confused about everything. It’s sad to watch. Reminds me of the final years of Hollywood stars like Groucho Marx, with hangers-on and ‘caregivers’ keeping the star in the spotlight for their own glory and cash flow. 10,000 years. With ice at both poles we are still susceptable to another glaciation because even our tropics have warmed only 4 deeg C since the last glaciation maximum 23,000 years ago. A robust GHG is necessary to prevent another deep freeze. I believe any attempt to seriously limit CO2 in our atmosphere could be horribly expensive, totally unnecessary and dangerously counterproductive.